Successful Music Event in the Threatened Bussey Building. 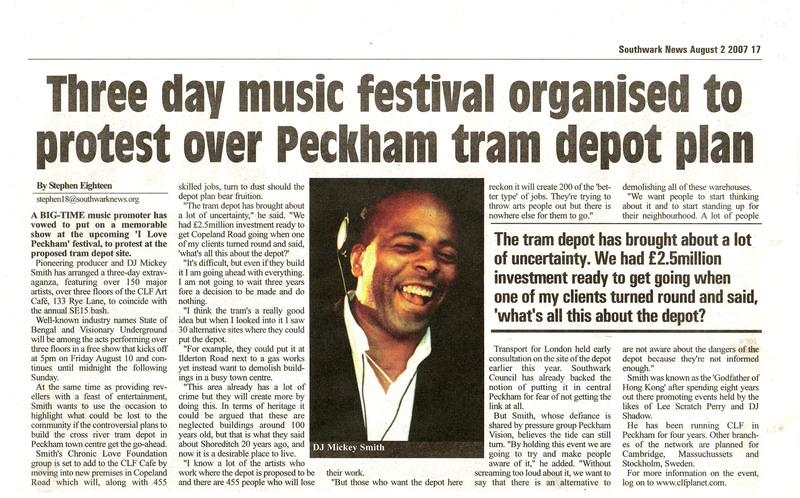 Peckham Society News Winter 2007/2008 reports on the successful CLF music event in the threatened Bussey Building last summer. 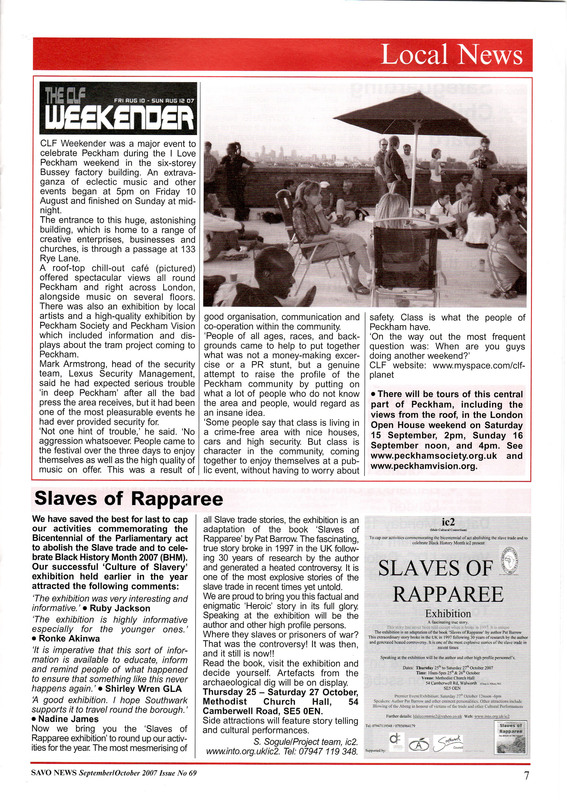 In the September 2007 issue of SAVO News the CLF Weekender was reviewed. This review is available below. If you are in Peckham during next weekend Friday 10 August to Sunday 12 August, you are invited to visit 133 Rye Lane, entrance opposite Peckham Rye station and Blenheim Grove. See also: Details and programme for more information. www.myspace.com/jazzheadchronic] and CLF www.clfplanet.com Co-Founder, the Internationally renowned Drummer, Arranger, Producer MARQUE GILMORE of DRUM.